Having realized an industry first by winning one hundred VB100 awards for malware detection, ESET will honor this achievement by continuing its quest to help you Enjoy Safer Technology. Among numerous awards, these are our proudest achievements. ESET named leaders in enterprise security in latest Kuppinger Cole Leadership Compass. ESET named as the only Challenger in 2018 Gartner Magic Quadrant for Endpoint Protection Platforms. 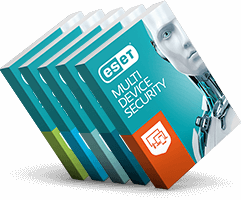 ESET Endpoint Security lands series of industry awards. AV-Comparatives names ESET Endpoint Security Solution as the lightest on the market. ESET Endpoint Security earned five out of five stars in every category in a review by SC Magazine. ESET Researchers first to win "Péter Szor Award" for the Windigo paper at the Virus Bulletin Conference.